Rail safety matters all the time, and every place there is train tracks. So, we embarked on a tour to four continents to pick out what we thought were the most powerful messages to keep people off tracks – and away from death and injury. 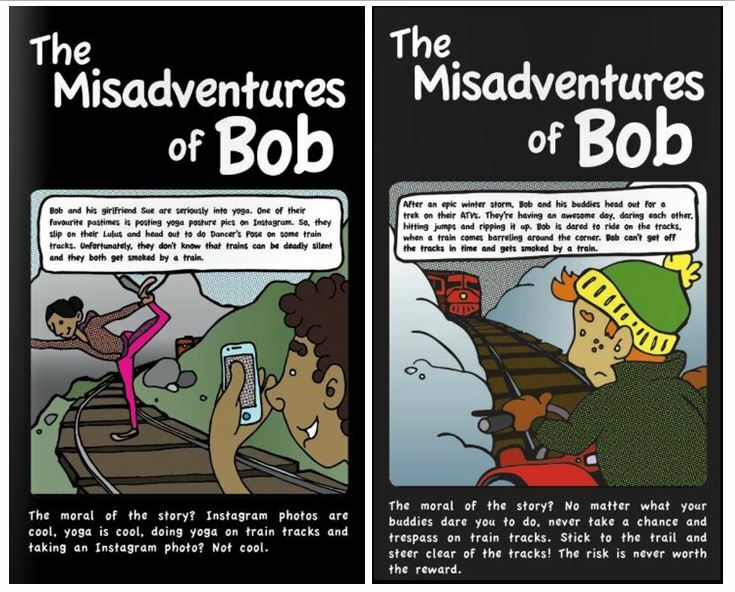 Every year, about 100 people are killed or injured in Canada from encounters with trains. Here are some warnings we hope people will heed, wherever they are in the world. The same agency shares another wise warning. 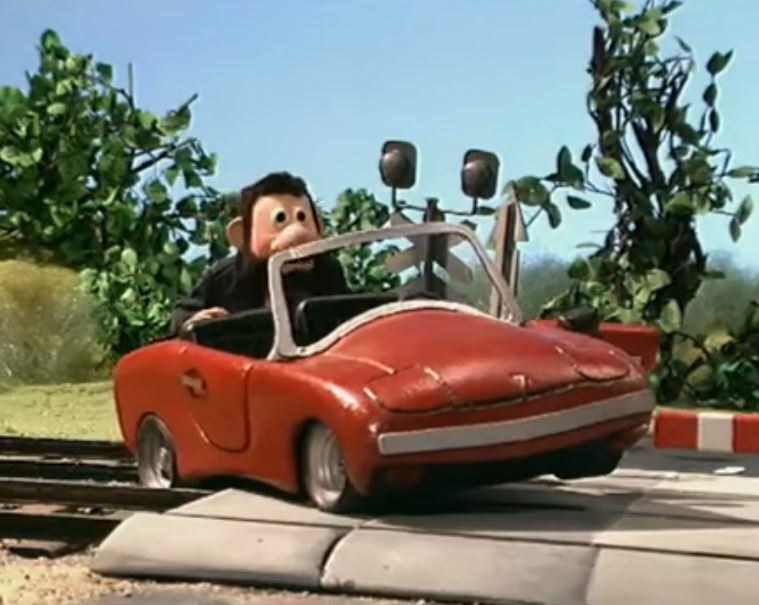 “Never enter a crossing unless you are absolutely sure your exit is clear,” as this driver learns, in a hair-raising video. You don’t need to understand Latvian to appreciate the humour and message behind these ironic claymation videos. 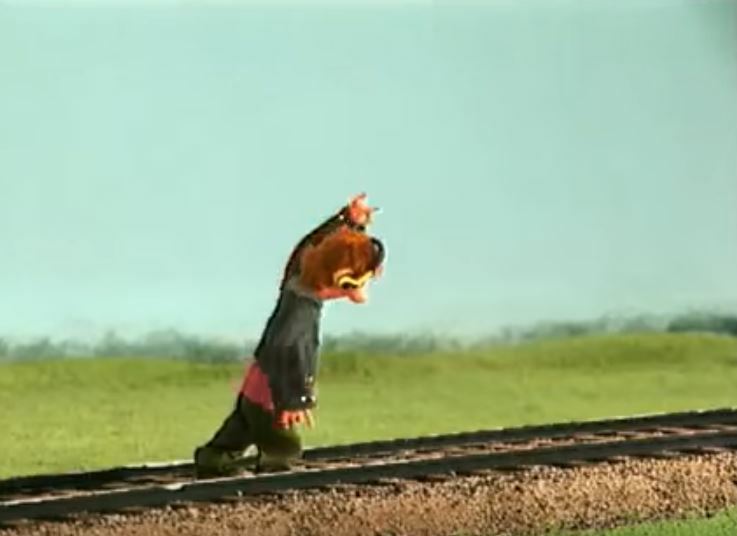 South African company Transnet Freight Rail demonstrates, partly in English and partly in Afrikaans, how a typical family drive can end tragically, in its Family Railway Level Crossing Safety Video. Railways move people and goods in just about every nation in the world. The need to take care around tracks and trains, as we go about our daily lives is universal. We hope that rail safety message continues to gets through to you, and everyone on the globe. 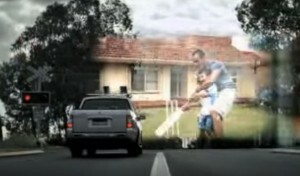 Do you have a favourite rail safety message or video you think is impactful? We’d love for you to share it with us! Thanks for sharing the warning Ken. There is a lot of persuasive information out there, for people to stay clear of train tracks. Simple fact of life here folks, the train will always win. It’s quite a bit larger, heavier and takes quite a bit to stop as compared to your common sedan or minivan. I’ve seen posted reports of some cargo trains requiring 2-3 miles to come to a stop. 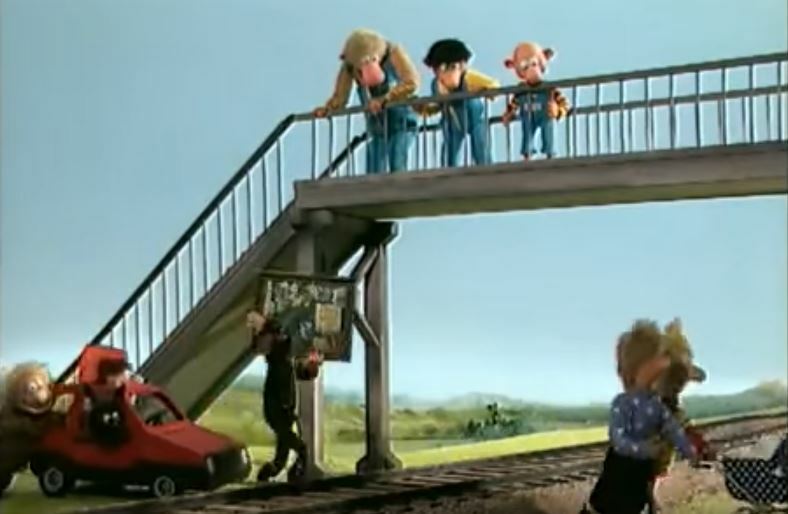 Remember, stay off the tracks!